No one likes to think about the possibility of their own disability or the disability of a loved one. However, as we'll see below, the statistics are clear that we should all plan for at least a temporary disability. This issue of The Wealth Counselor examines the eye-opening statistics surrounding disability and some of the common disability planning options. Disability planning is one area where we can give each and every one of our clients great comfort in knowing that, if the day comes for themselves or a loved one, they will be prepared. Study after study confirms that nearly everyone will face at least a temporary disability sometime during their lifetime. More specifically, one in three Americans will face at least a 90-day disability before reaching age 65 and, as the following graph depicts, depending upon their ages, up to 44% of Americans will face a disability of up to 4.7 years. On the whole, Americans are up to 3.5 times more likely to become disabled than die in any given year. Planning Tip: Many clients fear what will happen to them if they become disabled. Advisors who can help allay these fears will have more satisfied clients who move forward with their planning recommendations. Unfortunately, for many of our clients the disability will not be short-lived. According to the 2000 National Home and Hospice Care Survey, conducted by the Centers for Disease Control's National Center for Health Statistics, over 1.3 million Americans received long-term home health care services during 2000 (the most recent year this information is available). Three-fourths of these patients received skilled care, the highest level of in-home care, and 51% percent needed help with at least one "activity of daily living" (such as eating, bathing, getting dressed, or the kind of care needed for a severe cognitive impairment like Alzheimer's disease). Planning Tip: Many clients will require significant in-home care lasting, on average, close to a year. For clients requiring nursing home care, that care lasts, on average, nearly 2 1/2 years! Not surprising, the older the client or loved one, the more likely he or she will need long-term care - which is significant given that Americans are living longer. These costs vary significantly by region, and thus it is critical that we know the costs where the client or his or her loved one will receive care. For example, the average cost for a private room in a nursing home is much higher in the Northeast ($346 per day, or $126,290 annually, in New York City) than in the Midwest (only $143 per day, or $52,195 annually, in Chicago) or the West ($199 per day, or $72,635 annually, in Los Angeles). As the Harvard University study demonstrates, if a client, client's spouse, or family member needs long term care, the cost could easily deplete and/or extinguish the family's hard-earned assets. Alternatively, clients (or their families) can pay for long-term care completely or in part through long-term care insurance. Most long-term care insurance plans let the client choose the amount of the coverage she wants, as well as how and where she can use her benefits. A comprehensive plan includes benefits for all levels of care, custodial to skilled. Clients can receive care in a variety of settings, including the client's home, assisted living facilities, adult day care centers or hospice facilities. Planning Tip: Absent financial insolvency, government benefits for long-term costs are extremely limited - typically only for skilled care and only for a short duration. Given the costs of long-term care, clients should consider a long-term care insurance policy that meets their unique planning objectives. Planning Tip: Income-earning clients should also consider disability insurance to cover lost income as a result of a long-term disability. While long-term care insurance will cover in-home or nursing home costs, it will not replace the income lost due to the client's inability to work. When a client becomes disabled, he or she is often unable to make personal and/or financial decisions. If the client cannot make these decisions, someone must have the legal authority to do so. Otherwise, the family must apply to the court for appointment of a guardian for either the client's person or property, or both. Clients who are old enough to remember the public guardianship proceedings for Groucho Marx recognize the need to avoid a guardianship proceeding if at all possible. At a minimum, clients need broad powers of attorney that will allow agents to handle all of their property upon disability, as well as the appointment of a decision-maker for health care decisions (the name of the legal document varies by state, but all accomplish the same thing). Alternatively, a fully funded revocable trust can ensure that the client's person and property will be cared for as the client desires, pursuant to the highest duty under the law - that of a trustee. Planning Tip: Clients need properly drafted and well thought-out estate planning documents that address both their property and their person in the event of disability. 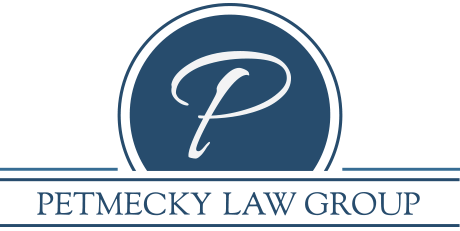 Planning Tip: A client's "personal representative" for health care decisions has the same rights to receive information as the client. While it is arguably unnecessary, the safest approach to ensure release of information to a personal representative is to modify the document appointing him or her so that it expressly authorizes the release of HIPAA-protected information on behalf of the client. The Regulations promulgated under HIPAA specifically authorize a HIPAA Authorization for release of this information to persons other than the patient or his or her personal representative. Thus, clients should consider creating such Authorizations so that loved ones and others can access this information in addition to the personal representative. Planning Tip: Clients should prepare HIPAA Authorizations for loved ones and others who potentially need access to their medical information during a time of disability. The above discussion outlines the minimum planning clients should consider in preparation for a possible disability. It is imperative that clients work with you and their team of professional advisors to ensure that, in light of their unique goals and objectives, their planning addresses all aspects of a potential disability.